RCFF's 2013 annual family photo Gaithersburg, Maryland. RCFF's 2014 annual family photo New Orleans, Louisiana. The Richards & Coleman Family Foundation held its 1st Annual Meeting in beautiful Manassas, Virginia. Led and coordinated by Jeannine Toe and entourage of family members, the venues selected for the Annual Meeting were the Hampton Inn Manassas at 7525 Williamson Blvd. and the Coral Reef Pavilion at the Ben Lomond Park located at 7500 Ben Lomond Park Drive. On Friday, July 20, 2012, a Welcome Reception was held at Hampton Inn where family members could meet and greet, register, pick up name tags, and share a sumptuous dinner together before retiring to prepare for a full day at the Ben Lomond Park on Saturday. On Saturday July 12, 2012 the weather turned out to be cloudy and misty all day with drizzles of rain which sort of put a damper on the day as it affected the activities of the Splash Down Water Park and the Sports and Games planned for the day. However, the Moon Bounce served its purpose as the younger ones did not mind the rain and utilized the moon bounce to the -MAX- soaking wet and all. Nevertheless, the Coral Reef Pavilion provided more than adequate shelter for a festive day in the park filled with music and laughter, hugs and kisses and more food than we could consume. The grill was continually active from start to end, and there was a grand buffet of Liberian dishes and delicacies, hamburgers, hot dogs and shish kebab, as well as ginger beer sodas and water to last through the duration of our stay at the park.One exciting fund-raising event on Saturday was the queen contest. Twelve beautiful ladies starting possibly as low as 3 years and up represented each month of the year. They rallied for three rounds to raise the highest dollar amount to win the contest. Over a eleven hundred dollars was raised by this event and the queen representing the month of June, Miss Charmelia Richards was crowned winner, Miss Richards Coleman. She raised the highest dollar amount and reigns the throne for 2012. Activities on Sunday morning, July 22, 2012 began with a Church Service in the combined meeting rooms at the Hampton Inn promptly at 11:00 a.m. Rev., Dr. James N. Garnett, Jr. served as Worship Leader for the service. Invocation was given by Rev. Dr. Robert D. Taylor, Sr., followed by Welcome & Statement of Purpose by Varney Coleman, (President of RCFF). 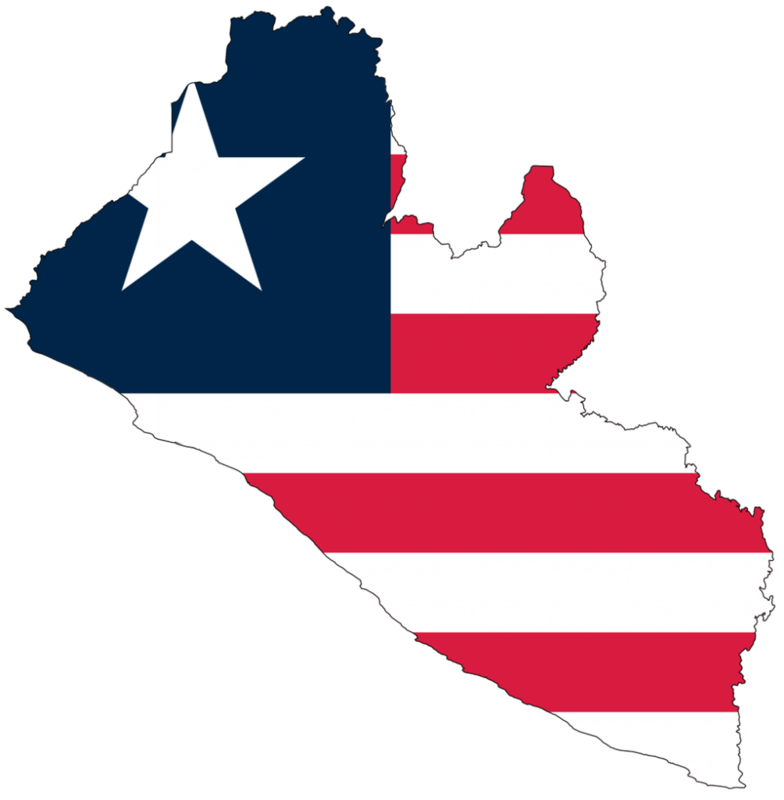 A Prayer for Liberia & the Annual Meeting was offered by Sophronia Coleman, and The Old Testament Scripture Reading (Psalm 19) was eloquently read by Dr. Sonia Banks. There were three congregational hymns sung to the glory of God by the entire congregation; a duet (Walk On By Faith) was provided by Reverends, Drs. Robert D. & Jacqueline P. Taylor prior to the Annual Meeting Message, given by Rev., Dr. Genevieve E. R. Garnett (Founder & Senior Pastor of United Baptist Church, Silver Spring, Maryland). The title of the message was Multimedia of God's Communication, and the theme was A Firmament as a Voice of God's Handiwork. The Service concluded with Offering and Honoring of Our Loved Ones, conducted by Florence Thomas, Dorothy Tolbert and Jameille Ross. President of RCFF Mr. Varney Coleman offered Remarks, and called for Benediction by Rev., Dr. Genevieve E. R. Garnett. A sweet fellowship continued and a sumptuous luncheon was served immediately following the service, after which the Annual General Meeting was held at the same venue. The weekend was successfully concluded with the Annual General Meeting called to order promptly at 2:30 p.m. by Rev., Dr. James N. Garnett, Jr. acting in a double capacity as deputized Sergeant-At Arms and Parliamentarian. Rev., J. Garnett then offered instructions for the conduct of the meeting and introduced Mr. Varney Coleman (President of RCFF) as the presiding Officer. The president called for invocation by the chaplain Rev., Dr. Genevieve E. R. Garnett, and subsequently gave the Opening Remarks, and thereafter proceeded to conduct the meeting according to the agenda as presented in the program.Two of the most significant achievements of the 2012 RCFF Annual General Meeting were the long anticipated conclusion of the promise to replace the roof of the William David Coleman High School in Clay Ashland, and the request of the young adults of the RCFF to plan and coordinate the venue(s) and activities for the 3rd Annual Meeting scheduled for July 2013. There were three bid proposals produced and presented for the W. D. Coleman High School Project. Two received from Rhonda Von Ballmoos in the amount of $6,000.00 plus, and one received from Martin Coleman in the amount of $16,000.00. A vote was taken on the three proposals, and the bid for $6,950.00 was accepted and funded for immediate transfer of funds to Rhonda Von Ballmoos to oversee the project. Sophie Cassell presented a request to the RCFF for more involvement and participation of the young adults in the planning and coordination of the Annual Meetings. Her request was supported by Dominique Tolbert and a discussion ensued. Upon conclusion of our discussion, the young adults were given the approval to plan the next Annual Meeting with the understanding that the initial proposal is due within 90 days for preview by a committee headed by Dawn Tolbert.The meeting was conducted well with full participation by those in attendance. The president brought the meeting to a close with Vote of Thanks to Jeannine Toe and her team who hosted the meeting, as well as all of those in attendance this year. He then called for a Closing Prayer by the chaplain and the meeting was adjoined at 4:00 p.m.
Greetings from the Officers and Steering Committee of the Richards & Coleman Family Foundation (RCFF). At our 2012 Annual Family Meeting in Manassas, Virginia, the young adults of the RCFF agreed to host this year's (2013) annual meeting. 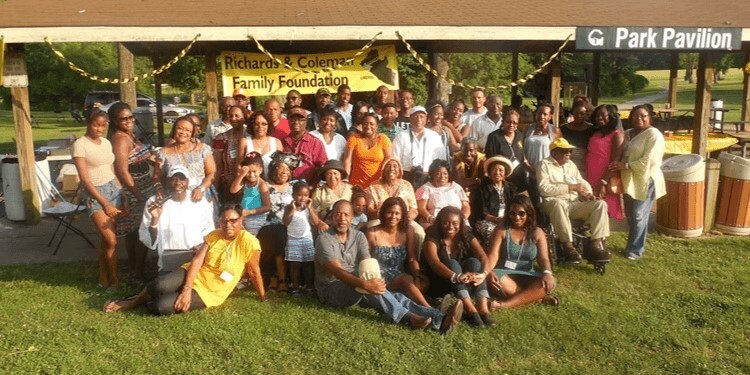 As such, our Annual General Meeting of the Richards & Coleman Family Foundation will be held in the state of Maryland, the weekend of July 19 to 21, 2013. Our young adults, under the leadership of Dominique Tolbert, Angelique Cassell and Vankelia Tolbert are spearheading the planning to ensure that our 2013 General Meeting is an enjoyable and memorable event for the family. In order to finance this Family Gathering and keep the Foundation viable and functioning, we are asking family members to consider paying their annual assessment of $75.00 as soon as possible. July 19, 2013: Friday Evening: Welcome Reception on the Spirit of Baltimore's Dinner Cruise Baltimore's Inner Harbor, boarding at 7.00pm. Cruise is from 7.30 to 10.30pm. The cost is $86.00 per person with a subsidy of $20.00 by the foundation for the first 20 reservations made. The cost for a family member therefore will be $66.00. Reservations will be accepted on a first-come, first-serve basis. !To qualify for the discounted price the member's $75.00 annual fee must be paid in full! $66.00 tickets Sold out on June 8th 2013. If the count is over 20, additional family members will have to pay the full amount of $86.00. This event has to be prepaid. Therefore, family members are required to make their payment at the time of reservation. July 20, 2013: Saturday Event: Will be held at Bohrer Park, located at 506 S. Summit Avenue, Gaithersburg, Maryland 20877. !Election of the RCFF officers will be conducted between the hours of 3 to 5 p. m.! Activities include the Waterpark and Miniature Golf Course. The fee is $10.50 for a full day and will be paid by the foundation. However, we will need a headcount of kids attending.Picnic and games for kids of all ages. Our annual Queen Contest fundraising event will be done by State this year and not birth-months. We look forward to seeing each of you and your families in July 2013. Greetings from New Orleans, LA organizing committee!!! The 4th Annual Meeting of the Richards & Coleman Family Foundation will be held in this wonderful city from July 18 to July 20, 2014. I feel very honored to have been chosen for a second time to host this great event. With exciting plans finally in place, let me bring you up to speed. HOTEL ACCOMMODATIONS WILL BE PROVIDED BY:HILTON NEW ORLEANS RIVERSIDE 1-800-HILTONSGroup Rate $139.00/night DOUBLETREE by Hilton New Orleans (800)222-8733 Group Rate $119.00/night Reservations must be made no later than Monday, June 23, 2014. Our Room Block is reserved under the Richard & Coleman Family Foundation. This Meeting is going to be AWESOME!!! I look forward to seeing you soon! The RCFF is pleased to announce that all venues have been set for the Richards and Coleman Family Foundation's, Inc. 2015 Annual General Meeting weekend. This year's events are being held in the Tri Cities of Williamsburg, Newport News and Hampton, Virginia from July 17 to July 19, 2015. A block of rooms have been set aside at the Marriott Newport News City Center for the Foundation's members with a special rate of $129.00 per night. Booking has to be completed by June 17, 2015 to get this special rate. To book your room call (866)329-1758 and reference the Richards & Coleman Family Foundation. The weekend begins on Friday July 17, 2015 at the Marriott Newport News City Center. The hotel is located at 740 Town Center Drive Newport News, VA 23606. You will be able to register, get a name tag, and pickup information of the weekend's schedule of events. Finger Foods and drinks will be served; a drink cash bar will be available. On Saturday July 18, 2015 all activities will be at Busch Gardens in Williamsburg, VA from 11 a. m. to 9 p. m. The park closes at 11 p. m. There will be two meals served with drinks at Busch Gardens Park where the Foundation's new officers will be elected for two years. There will be an additional cost this year for members on Saturday to enter Busch Gardens Park. A group rate of $49.99 has to be paid in addition to your annual assessment of $75.00. All of the rides and activities at the park will be available to have a fun day. Busch Gardens is located at One Busch Gardens Blvd. Williamsburg, Virginia 23185. On Sunday July 19, 2015 the church service, lunch and the Foundatio's 2015 Annual General Meeting will be held at the Marriott Newport News City Center. The oath of office shall be administered to the newly elected officers of the Foundation. A schedule of the weekend's activities will be posted on the Foundation's website calendar page @ rcff1.org where you can pay your assessment and park entrance fees and on the Foundation's Facebook page where you can leave your comments. You can also email us your comments to the Foundation's email address rcff1@rcff.org, or rfcc@comcast.net. 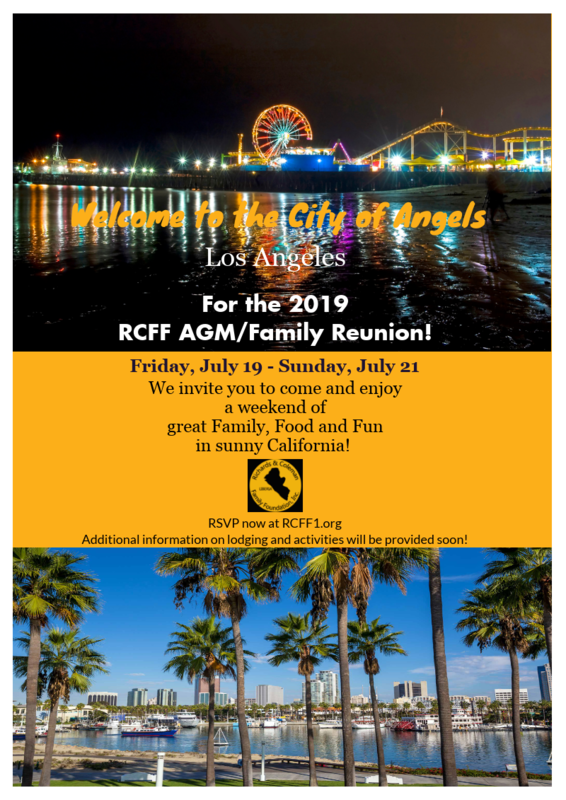 We look forward to seeing you at this year's RCFF Annual General Meeting weekend. 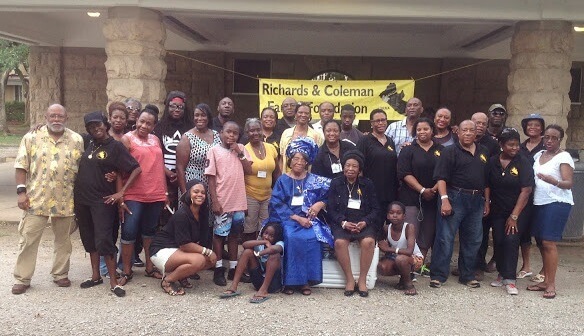 The Richards & Coleman Family Foundation celebrated its 5th Annual Meeting and 19th Family Reunion on the weekend of July 15 through 17 in Bowie, Maryland. 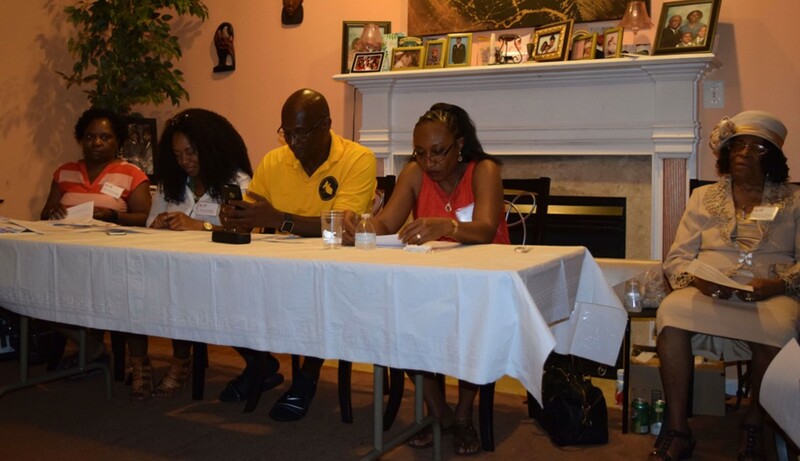 The festivities commenced on Friday evening at Mr. & Mrs. B. Jefferson Herrings residence (hereafter, the Herrings residence), with registration and meet and greet between family members, friends and supporters of the RCFF. The Washington DC Metropolitan Area (the DMV) was well represented, and the occasion was further graced with several members from coast to coast, covering the Atlantic Seaboard from New York to North Carolina and Louisiana, to Illinois in the Mid-West, California and Oregon on the Pacific Coast, as well as members from as far away as Liberia and Great Britain. There was also a mystery guest, Mr. Jim Coleman, President and CEO of the Prince Georges Economic Development Corporation who had visited the Embassy of Liberia in Washington D. C. to establish a working relationship, and learned of the RCFF through Mrs. Famatta Deline-Manu, and decided to join us for the weekend. Mr. Coleman hails from Lexington, Kentucky, (Fayette County), and his interest was peaked when he discovered that Liberia's 12th president, William D. Coleman's "roots" also originated in Ashland, Kentucky (also Fayette County). The Chaplain, Rev. Dr. Genevieve E. R. Garnett offered the opening prayer, followed by Welcome Remarks by the Executive Director John S. Cassell. An announcement of the protocols and planned activities for the weekend was given by Mrs. Dorothy Richards-Tolbert and closing Remarks by the Chairman of the Board Dr. James N. Garnett, Jr. who also formally introduced Mr. Jim Coleman as the guest of Mrs. Famatta Deline-Manu. The rest of the evening was filled with the gifts of gab, laughter, plenty of food, music, bending of the elbows and dancing past the midnight hour. On Saturday afternoon beginning at 1:00 p.m. the Herrings had recovered from the night before and were prepared to host the family for the Saturday afternoon activities at 2002 Del Sol Court. The festivities continued right where it left off the night before, but with more members and guests in attendance. Again, there was plenty of food, drinks, music, dancing, and plenty of games for both adults and children. Members in a very relaxed and informal atmosphere seized an opportunity to bond and catch up with one another since the Newport News/Williamsburg Virginia reunion in 2015. There were a lot of new introductions being made of some family members who had never attended a reunion before, and others who had not been able to attend for a while. Consequently, this offered another opportunity to bond and expand relationships that otherwise would not have been possible. We are always blessed, whenever we have new family members, as well as members that have missed a few meetings attend our Annual Meetings. At 4:00 p.m. the Sergeant-at-Arms, Mr. Joseph Tolbert called the meeting to order and turned the floor over to the Executive Director, Mr. John Cassell. Director Cassell called for the Invocation by the chaplain, and proceeded to give the opening remarks. Present at the head table leading the meeting were Director John S. Cassell, Deputy Director, Rhonda Von Ballmoos, Treasurer, Dr. Colletta Claggett, and Winnette Richards sitting proxy for the Secretary. The meeting was fully attended by all of the sitting board members as well as the membership of RCFF, and the agenda was comprehensively exhausted with robust participation and interaction from the membership present. All issues to be debated and/or discussed and voted on were resolved amicably. The "Vote of Thanks" was given by the Executive Director, and the "Closing Prayer" offered by the Chaplain. The meeting was adjourned at approximately 6:15 p.m. Promptly at 8:00 p.m. the members gathered again at the Bowie Comfort Inn, located at 4500 Crain Hwy, Bowie, Maryland for the RCFF Dinner & Ball to climax the night. A sumptuous meal was served (catered by the hotel) complete with non-alcoholic beverages. However, a cash bar was made available by the hotel. Mr. B. Jefferson Herring, Jr. (aka D. J. Bugatti) was at his best as the music flowed to soothe the taste of all ages present (young adults to octogenarians). The attendees enjoyed themselves as they danced to exhaustion. To "put the icing on the cake" (so to speak), The "Grand March" was led by Mr. Wisterford Coleman with one of our octogenarians, Mrs. Olivia Coleman-Banks. This was truly a festive occasion as the "Grand March" veterans basked in ecstasy while the new comers and the not-so-familiar tried to catch on and keep up. In the end, it was "All Good!" There was much laughter and freedom of spirit flowing throughout the ball room. A Truly Beautiful Climax of the Evening! On Sunday morning, in commemoration of our fallen member, Rosalind Richards, and appreciation to the St. Barnabas Episcopal Church + Queen Anne Parish for managing the Rosalind Richards Education Fund, the RCFF members worshipped with St. Barnabas at their 10:00 a.m. service. Rev. Dr. Genevieve E. R. Garnett and Rev. Dr. James N. Garnett, Jr participated in the service by reading the First and Second Lessons respectively. Dr. James N. Garnett, Jr. also introduced the membership and thanked the Rector and St. Barnabas for hosting the RCFF for our Annual General Meeting. The Homily was delivered by the Rector, Robyn Franklin-Vaughn with focus on Amos 8:1-12. Holy Communion was served and a majority of our members received communion. Following the service the Claggett family invited the membership of St. Barnabas and all in attendance to join the family for a Coffee & Conversation hour from 11:30 - 12:30 p.m. at Leeland Hall on St. Barnabus campus. During the coffee hour Dr. Colletta Claggett and her husband Ernest Claggett presented a slide show with explanation of the Clay Ashland projects associated with the Christian A. Richards Elementary School, for which the funds from St. Barnabas had been disbursed. A wonderful time was shared by all with breakfast food, sandwiches, cassava and fish gravy, pastries, coffee, tea, ginger beer and fellowship. After the coffee hour, the RCFF served up a sumptuous luncheon at Leeland Hall inclusive of Split Peas, Jollof Rice, Collard Greens, Cabbage, Potato Salad, Vegetable Salad, Rice Bread, Fruit Tray and an assortment of beverages and other goodies. As the membership was engage in meaningful conversations and fellowship while consuming a delectable luncheon, Mrs. Dorothy Richards-Tolbert opened up the floor for the Annual Tribute, Honoring and Pinning Ceremonies. Several members of the family paid tributes and honor to each other by the pinning of corsages, while some honored their departed relatives. Immediately following the pinning ceremonies, Dr. James Garnett, Jr. invited our mystery guest, Mr. Jim Coleman and Mrs. Famatta Deline-Manu to come forward. Dr. Garnett re-introduced Mr. Coleman to the membership for the benefit of those who had not had the privilege of meeting him. He then handed a package to Mrs. Manu who unveiled and presented to Mr. Coleman a Fanti Shirt that had been left for him by Mrs. Sophrinia Coleman before her departure for Oregon, as a token of appreciation for his bold move to connect himself with the family, by joining us at the Annual Meeting, and sharing his heritage with us, in search of his African Ancestral roots. Mr. Coleman expressed his appreciation for the gesture and shared a little of his family history that led him to the RCFF. This presentation was followed by yet another presentation by Rev. Dr. Genevieve E. R. Garnett who summoned our Executive Director, Mr. John Cassell and his wife Mrs. Natalie Darby Cassell to the middle of the hall and presented John with a cap and gown for his diligent service to the RCFF over the years. She commended him for his growth in leadership, and his demonstrated love for the family through his notable sacrifices. She then presented Natalie a silver purse and a matching bracelet as a token of her appreciation to Natalie for standing as a pillar behind her husband and supporting him through the various sacrifices he has made for the foundation. Amidst all of these activities, the Chairman, Vice Chairman and Treasurer of the board convened a strategic planning meeting with the Executive Director, Deputy Executive Director and Treasurer of the Foundation to assess the needs of the Foundation for the year 2016-2017. The exchange of information was healthy and very rewarding as we plan our fundraising activities for the year. May God grant all of our family members and supporters of RCFF a blessed, prosperous and successful year as we labor diligently and sacrificially towards a propitious end. Directions and a schedule of the weekend's activities are be posted on the Foundation's website calendar page at www.rcff1.org/calendar where you can also pay your annual assessments. The schedule and activities are also posted on the Foundation's Facebook page where you can leave your comments. You can also email us your comments to the Foundation's email addresses rcff1@rcff.org or rcff@comcast.net. RCFF continues to support government and family-sponsored schools that are trying to educate the children of Liberia. We would appreciate prompt payment of assessments by family members to enable us to host the 2017 reunion activities and support the schools in Liberia. The family assessments, as established by the RCFF constitution, is $75 for family members 21 years and older and $10 for family members under 21 years. There is also a Guest assessment of $25.00.The assessments can be paid now, and we ask that all payments be made before July 14th. Cash payment made directly to the Director of Finance. Please do not mail cash.